Serie A enters Week 12 and on the verge of another International break. 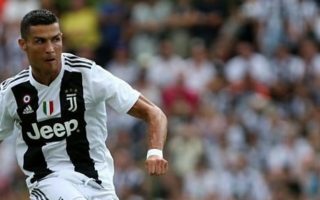 Fresh off Champions league and Europa league for the top 6 teams we have some targeted predictions for you and some really high value odds coming up in this week’s Serie A Week 12 predictions. Week 12 kicks off on Friday night with a must win game for Fiorentina. The Viola had been off to a hot start but have since faded. Not so much in potential but their lethal finishing has weakened. This week they have a chance to remedy the situation. They have not won a game since beating Atalanta on the 30th of September. Frosinone managed a brave draw last weekend against a 10-man Parma side that tried its hardest to lose the game. Shocking performance at times in the last 30 minutes. This week even though they are at home they are up against a different beast. Only two previous encounters between these two. Very different games and too small a sample size to assess anything. We’ll go with gut feeling and some football knowledge on this one. Fiore are by far the better side and the odds are good enough to take the gamble. We expect Fiorentina to come up with their strongest side and their typical 4-3-3 with Chiesa Simeone and Pjaca upfront. The Granata are having a good run of form after a shaky start to the season. The home side have now won 3 of the last 5 and have not lost a game since the 23rd of September (away to Napoli). Mazzarri has managed to get his side to be consistent and luckily for them Bellotti has finally struck gold with 2 goals and an assist last weekend against Sampdoria. A dominant 4-1 away in a difficult stadium – that’s a show of character. Parma had a lacklustre draw 0-0 at home to Frosinone. A game they should have won on paper. The red card for Stulac on 61 minutes killed the momentum for the home side and Frosinone managed to keep the game goalless. Interesting matchup here at the Stadio Luigi Ferraris. Genoa are in shambles. Having changed their manager for no apparent reason, they find themselves without a win since the 30th of September. The last of their efforts was at the San Siro vs Inter and it went horribly wrong at 5-1. Napoli are coming off a good match against PSG. They did not manage to hold on to the lead and let their guard down for a 1-1 draw. Ancelotti will most likely leave Ghoulam and Mertens out of this one and give them the rest they need to recover. Napoli will still have to pay attention to Genoa’s Piatek as he has been formidable at home. Both teams are high scoring and both enjoy over 3 goals per game on average. Easy to see this one going wild. Clash of the two black and blue sides in an early kick off on Sunday. The scene for the matinee at the Stadio Atleti Azzurri d’Italia will be a high tempo attacking game that is typically seen with Atalanta being home. The Bergamasci know they have a good strength in their home ground. Inter had an excellent last gasp draw against Barcelona mid-week and this may have an effect on the game here. Atalanta have won 3 straight and have a decent front line that can score goals. Their home record against Inter involves a lot of draw games with both teams to score and this will be something to look out for. Icardi is on a role right now. Tough to stop him when he is in this form. The priority for Inter is to keep their top striker healthy for the whole campaign. The home side lie in 10th place with 15 points and this win would be extremely important for their season to distinguish them from a possible mid-table club to an upper table club. On the other hand, Inter know they can solidify their 2nd place with a win here. The motivation is high within both teams. Great match lined up at the Stadio Olimpico on Sunday in a matchup that sees 9th place Roma square up against 11th place Sampdoria. Each enjoy a +4 positive goal difference and this game means more to Roma than it does to Sampdoria. 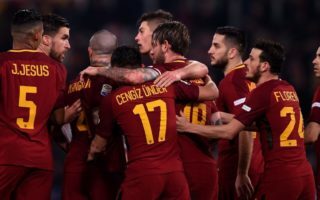 The Giallorossi know that this is one of their best chances to re-establish themselves back in the run for a top 4 spot. Places currently occupied by front runners Juve, Inter and Napoli with Milan and Lazio both worthy contenders. Roma have a 65% success rate here and they are somewhat confident at home. They have beaten Samp 3 out of the last 5 games. Having come off a good away win to CSKA, Roma will be on a high. Watch out for Sampdoria’s front line as they are able to score easily. The Biancocelesti are ripping through their last few games. 4 wins in the last 5 in all competitions with the only loss being against a super Inter team. Inzaghi’s men now face a tough away game after a Thursday night Europa league encounter against Marseille (2-1 win). Lulic and Badelj look doubtful for Lazio whilst Bourabia is out and Babacar is questionable. The Mapei stadium is no walk in the park and Sassuolo have a very decent home record with 3 wins, 1 draw and 1 loss. This game will be volatile. Sassuolo will bank on Lazio’s tired legs and will believe in coming out of this with a win. Look out for their fast paced midfielder Duncan and veteran Kevin Prince Boateng to make an impact. Pity about Bourabia’s injury as he was key. The away side will show up with their usual 3-5-2 with their key players being Milinkovic Savic and Immobile upfront. The home side will counter with their decent 4-3-3 with Kevin Prince taking a falso nueve position. No doubt Match of the week in Serie A this weekend and it what a fixture to have on Sunday night at the San Siro. It’s going to be an exciting encounter as always between the two most successful sides in Serie A. This game carries a lot of history and is always a big game regardless of standings. Juventus are top of the table with almost maximum points after 11 games. Milan are in a very respectable 4th place and looking to solidify this at the weekend. The problem for Milan here is that even at full strength it is a tough matchup against Juventus. The injury list for the home team is extensive and Gattuso will have to be creative in his approach. The Rossoneri are also coming off a Thursday night game away to Betis and this has to be taken into consideration. The list of injuries for Milan is as follows; Biglia, Caldara, Higuain and Strinic will not play. Massive impact. Bonaventura and Calabria are doubtful. Meanwhile for Juventus, the list is also worrying, however they can rely on their squad depth to field a strong 11 worthy of a win anyway. Massimiliano Allegri was livid after the defeat to Manchester United. The Bianconeri dominated that game and should have come out with a 3-0 win and not a 2-1 loss. This will be unfortunate timing for Milan as Juve will want to gain their pride back with a dominant performance. 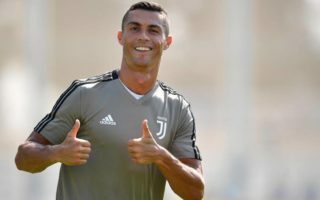 Look out for Cristiano Ronaldo’s first Serie A appearance at San Siro and maybe he might grace the stadium with a World Class performance.